The scene: The evening before a charity event I had been lucky enough to be planning all year. The Characters: Me, some harsh antibiotics, and zero bacteria left in my digestive tract. The some food…running right through me. Enter: Amazing friend L, with a mason jar of homemade yogurt and bananas. Hours later: Amazing recovery! Well, I could keep food in my body, it was a start! Those dang activia commercials love to remind us of yogurt’s “regulating” properties. After a harsh round of antibiotics or a stomach bug, I liken them more to the “stop the rivers” properties. Yes I went there. I am sorry. Fermented foods are amazing. Read more on them here. Yogurt from the grocery store is ok… its live cultures will help a sister out, but they won’t do it quickly. Pretty sure not that many of them are still kicking. But you can easily make your own, amazing (cheap!) yogurt to chase your blues away. Or just to enjoy because its delicious. If you are used to the splenda-saturated, fake fruit containing yogurt this stuff is going to taste different to you. I suggest adding some honey or vanilla bean paste and eating it with fruit and granola. 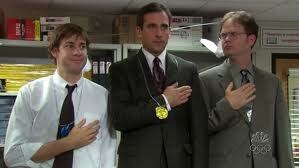 In a few weeks the only reason you’ll need other yogurt is to make medals for the office Olympics. A half gallon of milk – whole is easiest. Go for Raw milk if your even more fabu. BTW milk fats not that bad for you people, eat the whole milk yogurt and skip the chicken fingers. Your body, fertility, and intestines will thank you. Already made yogurt or frozen cultures – frozen cultures are better if you are near a place that sells them (Whole Foods so far, maybe Trader Joes) but really any plain, all natural yogurt will work. I like Whole Foods 365 Organic Plain Yogurt, but I’ve heard good things about Dannon Natural Plain. This will be your starter. Crock Pot – fancy people use yogurt makers or double pots and thermometers. I am not one of those people. Bath Towel – weird, but see above. Not fancy. 1. Pour milk in crock pot. 2. Set to low for 2.5 hours. Or 2 and 20. I should prob be more exacting. 3. Unplug your crock pot. Wait 3 hours. Or if your impatient, 2.5. Mine still worked. 4. Remove 2 cups of warm milk and whisk together with 1/2 cup yogurt starter. Or more if your me. 5. Dump mixture into crock pot. Wrap crock pot in a towel, forget about/go to bed/wait 8 hours. Easier than making a roast in the crock pot. Store bought yogurt costs about 10 times what it costs to make it at home. I pulled this off of http://crockpot365.blogspot.com/. –with vanilla bean paste (12.5 bottle WORTH IT, makes everything with vanilla way better) and a banana for breakfast. This entry was posted on Thursday, March 24th, 2011 at 2:25 am and is filed under Fermented Food, Gluten Free, Infertility, Recipes, Weston A. Price. You can follow any responses to this entry through the RSS 2.0 feed. You can leave a response, or trackback from your own site. I love both of your posts from today 🙂 Keep them coming!!! So easy and yet so scary! Yes. Ill bring the starter!